We began tracking this negative divergence in NFTRH last year as the leadership of two premier Semi Equipment companies began to decelerate vs. the broad sector. Over time the ugly patterns became even uglier with breakdowns to new lows. This chart shows that ugliness but more importantly it tries to illustrate AMAT & LRCX as leading indicators for the broad markets. In 2013 it was a big part of the macro signaling that told us to prepare for a coming economic upturn. In late 2015 it told us that the market top of that time probably was no such thing. Continue reading Semi Sector: A Warning or a Buy? Semiconductor Canaries: Chirp, Warble… Soon a Croak and Silence? 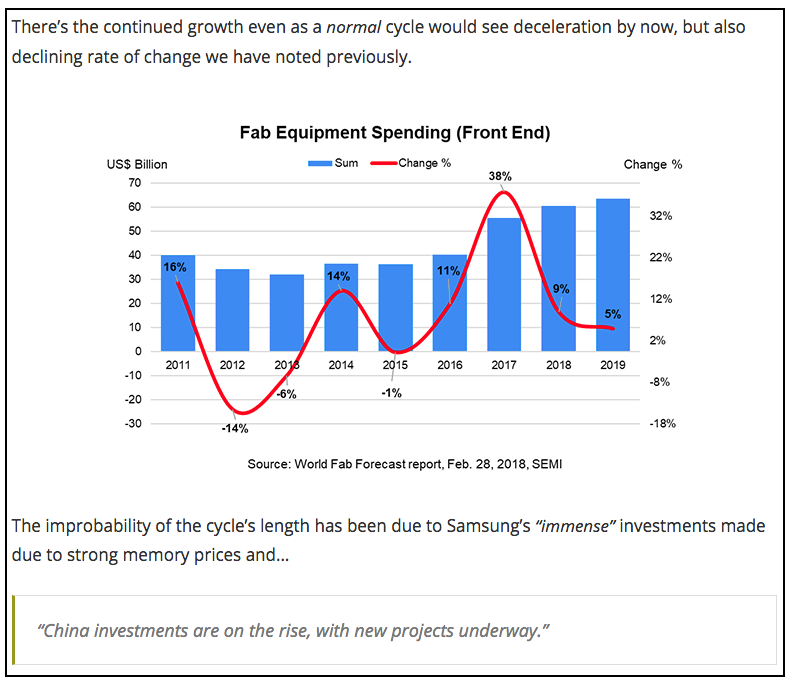 Continue reading Semiconductor Canaries: Chirp, Warble… Soon a Croak and Silence?